Facebook gave about a dozen companies wide access to its 2.2 billion users’ personal data without consent, including private messages, names and contact info for friends, according to a report in The New York Times. The revelations contradict the social media giant’s claims that it no longer allowed third party apps to access user information via friends. Revelations of Facebook’s partnerships with Netflix, Spotify, Yahoo, Microsoft and Amazon were detailed in hundreds of internal Facebook documents obtained by The Times. The report was published late Wednesday. “Facebook allowed Microsoft’s Bing search engine to see the names of virtually all Facebook users’ friends without consent, the records show and gave Netflix and Spotify the ability to read Facebook users’ private messages,” The Times alleges in its report. 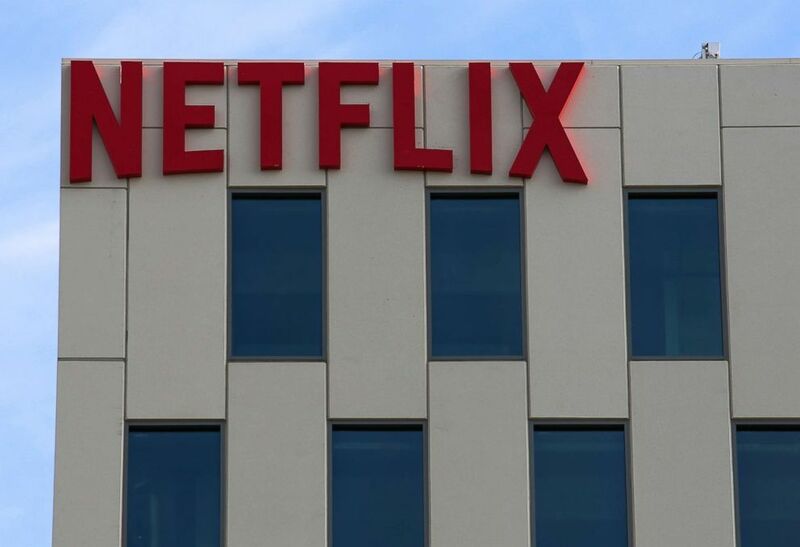 Netflix headquarters in Hollywood on May 05, 2017, in Los Angeles. Facebook shifted the focus to other companies in a statement issued Wednesday night in response to the report. “Facebook’s partners don’t get to ignore people’s privacy settings, and it’s wrong to suggest that they do. Over the years, we’ve partnered with other companies so people can use Facebook on devices and platforms that we don’t support ourselves. Unlike a game, streaming music service, or other third-party app, which offer experiences that are independent of Facebook, these partners can only offer specific Facebook features and are unable to use information for independent purposes,” Steve Satterfield, Facebook’s director of privacy and public policy, told ABC News in a statement. “Protecting people’s information requires stronger teams, better technology, and clearer policies, and that’s where we’ve been focused for most of 2018. Partnerships are one area of focus and, as we’ve said, we’re winding down the integration partnerships that were built to help people access Facebook,” he said. In addition, the company confirmed specific features that enabled the user access but said users had issued consent. “To put it simply, this work was about helping people do two things. First, people could access their Facebook accounts or specific Facebook features on devices and platforms built by other companies like Apple, Amazon, Blackberry and Yahoo. These are known as integration partners. Second, people could have more social experiences – like seeing recommendations from their Facebook friends – on other popular apps and websites, like Netflix, The New York Times, Pandora and Spotify,” Konstantinos Papamiltiadis, Facebook’s director of developer platforms and programs, wrote in a post. “To be clear: none of these partnerships or features gave companies access to information without people’s permission, nor did they violate our 2012 settlement with the FTC [Federal Trade Commission],” Papamiltiadis wrote. Facebook’s response seemed at odds with positions taken by some of the companies named in The Times story. Apple officials told ABC News they were not aware that Facebook had granted its devices any special access. They added that any shared data remained on the devices and was not available to anyone other than the user. A Yahoo spokesperson said the company’s Newsfeed feature gave Yahoo users the ability to view their Facebook newsfeed in the Yahoo environment like a personalized homepage, adding that Yahoo did not use this information for advertising purposes. Yahoo also said that its users opted into allowing their Facebook contacts into their Yahoo mail account. The Times report renewed calls from an activist shareholder for Facebook CEO Mark Zuckerberg to step down from his position as chairman of the board. “Each and every one of these episodes illustrates the fundamental fact that Mark Zuckerberg, shareholders, directors, employees, and users would benefit enormously by bringing in an independent board chair,” Jonas Kron of Trillium Asset Management told ABC News. Trillium owns about 53,000 shares of Facebook. ABC News’ Alexandra Faul, Joshua Hoyos, Zunaira Zaki, and Darren Reynolds contributed to this report.